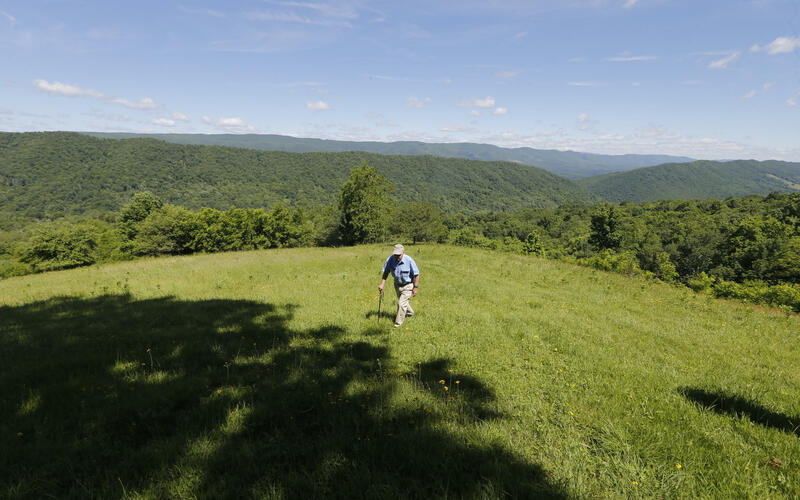 In a Tuesday June 6, 2017 file photo, hydrologist William K. Jones, walks up a mountain near the route of the proposed Atlantic Coast Pipeline in Bolar, Va. When Dominion Energy applied for approval from the Federal Energy Regulatory Commission to build the Atlantic Coast Pipeline, the publicly-unveiled plan indicated that the natural gas line would end in the middle of a field in Robeson County, North Carolina. 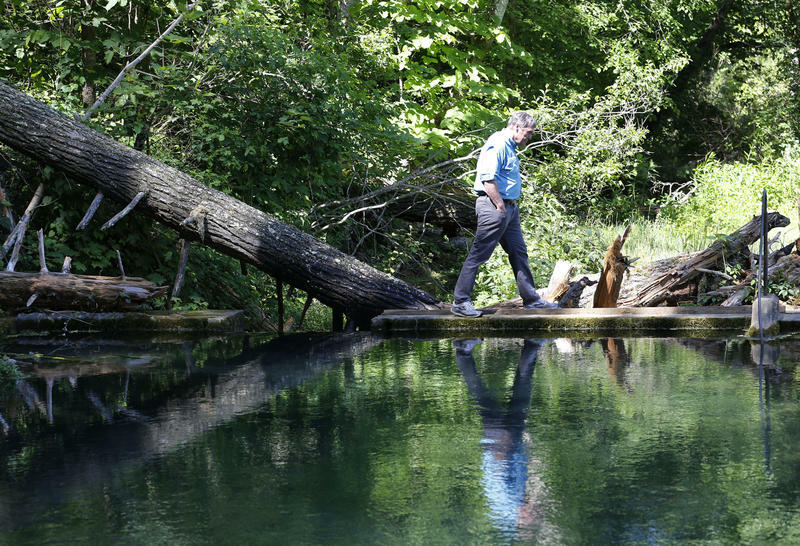 Host Frank Stasio speaks with Triangle Business Journal reporter Lauren Ohnesorge, and Ryan Emanuel, professor in the Department of Forestry and Environmental Resources at North Carolina State University about the economic and cultural impact of the proposed Atlantic Coast Pipeline. But according to a new Associated Press report, developers are considering extending the pipeline through Lumbee territory and into South Carolina. Host Frank Stasio speaks with Triangle Business Journal reporter Lauren Ohnesorge, and Ryan Emanuel, professor in the Department of Forestry and Environmental Resources at North Carolina State University, an enrolled member of Lumbee Tribe, and a member of the North Carolina Commission of Indian Affairs Environmental Justice Committee Member about the economic and cultural impact of the potential change. Developers are asking the Federal Energy Regulatory Commission to give final approval by the end of this month to the controversial Atlantic Coast Pipeline.